We offer modernized natural herbal remedies for many common symptoms. Traditional eastern herbal medicine has offered effective healing arts based upon thousands of years of clinical trials and philosophical frameworks. Despite sophisticated modern medicine, Holistic Herbal Formulas with synergy are widely popular as ever in modern eastern societies, because of their splendid efficacy. Why a Formula instead of a single herb or multiple antioxidants ? Natural herbal remedy for an X symptom or for well being is more effective, when the herbs are combined in a strategic, balanced formula. There is no one powerful herb for all types of symptoms. All the symptoms must be diagnosed into a specific disease pattern, before making an effective herbal formula. 1) any X symptom arises from multiple neurohormonal responses by an organism to disturbed homeostasis. For example, very common symptoms often arise from disturbed homeostasis of internal temperatures which may not be registered by thermometer readings. Thermoregulation occur in response to internal heat production during metabolic reactions in various organs such as brain, liver, and muscles. One cause of disturbed homeostasis in internal temperature is the production of excess heat during " excessive " metabolic reactions. A common case is that of heat produced in brain during excessive mental exertions such as thinking too much. Chronic excess heat is also produced in liver with an overload of toxins/ drugs. Heat produced in diverse overloaded organs are carried by the blood vessels to oral mucosa, cheeks, soles, and palms to be emitted to the environment by local arteriolar dilation. Thus the familiar symptoms of dry mouth, sore throat, burning tongue, hot face, palms, and soles result. 2) a single herb or a major chemical constituent may not correct all the pathogenetic mechanisms behind an X symptom. In cases of excess heat , a single herb may not clear heat in all involved organs, or cool the blood heat. Only A well balanced formula may correct the multiple pathogenetic mechanisms. 3)There may be undesirable effects from overusing only a single herb. Even those Herbs tested by medical research such as “adaptogenic” astragalus root, ginseng, eleuthero root ( siberian ginseng), or ginkgo,etc may lead to imbalances in bioenergy, if used a long term singularly, and may cause “heat build up” and dry mouth, headache, dizziness,etc. Seemingly innocuous ginger may be contraindicated in cough due to bronchitis with dark sputum. Astragalus,ginseng, and ginger are all warm herbs producing heat. When taken by individuals with much heat inside already,”overheating”effects may result in symptoms. On the other hand, well known herbs such as coptis ( the rich source of berberine for diarrhea ), skullcap roots ( the source of baicalain for diarrhea) or American ginseng for fatigue or Japanese knotweeds ( Hu Zhang from which comes resveratrol, a well known antioxidant in grapes ) are cold herbs that may cause abdomenal pain with diarrhea with overusage. Each natural herb contain wonderful ingredients including antioxidants. There are about 500 different eastern herbs routinely used in formulas, and many of them have amazing, biomedical actions by western medical researches done in India, China, Korea, and Japan; for example, a herb called Shu di huang ( steamed rehmannia ) has antiinflammatory, antioxidant, antimicrobial, antifungal, antiallergic, antipyretic, antineoplastic, as well as adrenal tonic, nervine, sialogue, and neuroprotective actions proven by researches. Rehmannia has more than 30 different iridoids including aucubin with anticancer effects, in addition to numerous organic acids, amino acids, sugars, and beta-sitosterol. However, Phytochemists have only rudimentary knowledge of how each chemical constituents of a herb or multiple different herbs work synergistically to produce many biological and bioenergetic effects. Although Shu di huang has numerous actions by animal and laboratory researches, eastern herbal medicine never uses shu di huang alone to treat any of the many common ill symptoms caused by disrupted homeostasis. Shu di huang in traditional medicine is one of the supreme tonic herbs that build up the substantial bodily energy ( " kidney yin "; her tonic action is different from astralgus or ginseng which tonify the dynamic bodily energy called " Qi" ).For chronic fatigue due to deficiency of both substantial and dynamic energies, Shu di huang can be used as the king herb, with assistance from other tonic herbs including warm qi boosters, and must be be balanced by cooling herbs that clear heat from tonification. Phytochemical knowledge of in vitro laboratory studies alone do not give the herbal experts as to how to employ shu di huang in conjunction with assitant herbs for healing an X symptom such as chronic fatigue. A well designed herbal formula can bring out the best healing power of a herb such as rehmannia. Physician's natural herbal formulas are based on the differentiation of x symptoms into different disease patterns, and offer the corrective formulas for the most common syndromes. Using the language of traditional herbal medicine, such herbal formulas eliminate the pathogenetic factors by proper means and routes, tonify the deficient energy flows, strategically open up the blocked energy flows in neurohormonal and vascular networks of organ systems, and restore homeostasis and well being. All our modernized formulas, aiming to manage/ heal complex symptoms of modern culture, have been designed by Dr. Dong W Shin who is the only U.S. educated physician ( MD at Northwestern ) fully trained in both internal medicine and pathology, as well as eastern herbs and acupuncture. After rigorous study and experiences of herbal formulas with patients, He has come up with the natural herbal formulas effective for common clinical symptoms that can complement the modern drugs synergystically with little side effects. Residency in anatomic and clinical pathology at Cedars Sinai Medical center in L.A.
Residency in internal medicine at White Memorial medical center in L.A.
Oriental medicine degree at Samra oriental university in L.A. 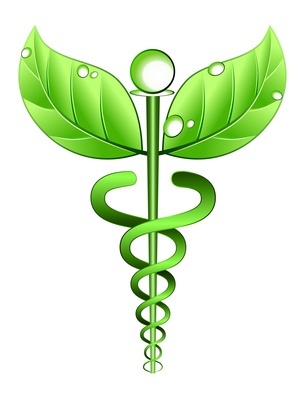 In practice of Integrative Medicine in internal medicine and herbal medicine since 1995. Patient visits over 150,000. Re: The Korean Texts: There have been many koreans who had wished to examine the contents of my web site and my herbal formulas. However, many of them could not read English well. Therefore, I have decided to add on the texts translated to Korean language. 우리는 많은 일반적인 증상에 대해 현대화 된 천연 허브 요법을 제공합니다. 전통적인 한방 의학은 수천년의 임상 실험과 철학적 틀을 바탕으로 효과적인 치료 예술을 제공했습니다. 정교한 현대 의학에도 불구하고 시너지 효과가있는 총체 주의적 한방 Formula는 자연적 건강 증진을위한 훌륭한 효능 때문에 현대 사회에서 널리 보급되어 있습니다. 단일 허브 나 항산화 제 대신 여러 약초가 배합된 처방 포뮬러가 필요한 이유는 무엇입니까? X 약용 또는 건강 증진을위한 자연 약초 치료법은 허브가 전략적이고 균형 잡힌 방식으로 결합 될 때 더욱 효과적입니다. 모든 종류의 증상에 강력한 약초가 없습니다. 효과적인 증상치료를 위해 모든 증상을 특정 질환 패턴으로 진단해야합니다. 1)모든 X 증상은 생리화학적 균형 (항상성 )이 방해될때의 유기체 ( 생물체 )에 의한 신경 호르몬 반응으로부터 발생합니다. 예를 들어, 많은 흔한 증상은 종종 온도계 판독으로 등록되지 않은 내부 온도의 항상성이 방해되서 발생합니다. 온도 조절은 다양한 장기의 대사 반응에 인한 내부 열 생성에 반응 합니다.내부 온도에서 항상성을 방해하는 한 가지 원인은 "과도한"대사 반응이 과도한 열을 발생시키는 것입니다. 일반적인 경우는 지나치게 많은 생각을하는 과도한 정신 운동 중에 뇌에서 발생하는 열의 경우입니다. 만성 과도한 열은 독소 / 약물로도 간에서 생산됩니다.다양한 장기에서 생성 된 과다열은 국소 세동맥 확장에 의해 환경에 배출되도록 구강 점막, 뺨, 발바닥, 손바닥에 혈관에 의해 운반됩니다. 따라서 구강 건조, 인후통, 혀, 뜨거운 얼굴, 손바닥 및 발바닥의 더운 증상이 나타납니다. 2) 단일 약초 또는 주요 화학 성분이 X 증상의 모든 병원인을 교정하지 못합니다. 과도한 열이 나는 경우, 하나의 약초가 모든 관련 기관의 열을 제거하지 못하거나 혈액 열을 식히지 못합니다. 오직 균형 잡힌 formula 만이 다중 병리를 교정 할 수 있습니다. 3) 하나의 허브만을 과도하게 사용하면 바람직하지 않은 결과가 발생할 수 있습니다. "adaptogenic"astragalus 뿌리 ( 황기 ), 인삼, eleuthero 뿌리 (시베리아 인삼), 또는 은행 나무, 등과 같은 의학 연구에 의해 시험 된 약초조차 장기간 유일하게 사용되는 경우에, bioenergy 불균형으로 열을 발생시키고,구강 건조, 두통, 현기증 등을 일으킬 수 있습니다. 겉으로보기에 무해한 생강은 진한 가래가있는 기관지염 기침에 금기 일 수 있습니다. 황기, 인삼 및 생강은 모두 열을내는 따뜻한 허브입니다. 이미 많은 열이있는 사람들이 섭취하면 "과열"효과가 나타날 수 있습니다. 다른 한편으로는, coptis (황련) (설사에 대한 풍부한 베르베르 소스), skullcap 뿌리 (황금) (설사에 대한 baicalain의 소스) 또는 서양삼 또는 일본 knotweeds (후장은 resveratrol, 잘 알려진 허브 포도의 항산화 성분)은 차가운 허브로 설사와 과도한 복통증을 일으킬 수 있습니다. 각 천연 허브에는 항산화 물질을 포함한 훌륭한 성분이 함유되어 있습니다. 약초처방에는 일상적으로 사용되는 약 500 종의 허브가 있으며 인도, 중국, 한국, 일본에서 이루어진 서양 의학 연구에 의해 놀라운 생물 의학적 작용을합니다.예를 들어 숙지황이라는 약초는 항 염증, 항산화, 항균, 항 곰팡이, 항 알레르기, 해열제, 항 종양 제뿐만 아니라 부신 강장제, 및 연구에 의해 입증 된 신경 보호 작용이 있습니다. 수많은 유기산, 아미노산, 당류 및 베타 - 시토스테롤과 더불어 항암 효과가있는 아쿠 빈 (aucubin)을 포함하여 30 가지 이상의 다른 이리도산를 보유하고 있습니다. 그러나 식물 화학자들은 허브의 각 화학 성분이 여러 생물학적 작용을 일으키기 위해 시너지 효과를 발휘한다는 기본적인 지식 만 갖고 있습니다. 숙지황(Shu di huang)은 실험실 연구를 통해 많은 효과들 있지만, 한의학은 여러 가지 일반적인 증상을 치료하기 위해 숙지황 하나만을 사용하지 않습니다. 숙지황은 "실질적"인 substantial 신체 에너지 ( "신장 음"; 그녀의 보약 작용은 원기 "Qi"라고하는 역동적 인 신체 에너지를 보하는 인삼/ 산삼과는 다릅니다)를 형성하는 최고 보 약초 중 하나입니다. 실질적이고도 역동적 인 에너지의 결핍으로 인한 만성 피로에 대해 숙지황은 따뜻한 허브를 포함한 다른 강장제 허브의 도움으로 "왕" 허브로 사용할 수 있습니다. 다만 보약에서 생기는 열을 식히는 약초도 병행해야됩니다. 체외 실험실 연구에 대한 식물 화학적 지식만은 만성 피로와 같은 X 증상을 치유하기 위해 보조 약과 함께 숙지황을 고용하는 방법을 임상경험이 풍부하지않은 약초 전문가에게 주지 않습니다. 골프 이론가가 프로골퍼가 될수 없습니다. 임상과 이론이 같이 잘 디자인 된 약초 처방만이 rehmannia와 같은 약초의 최고의 치유력을 끌어낼 수 있습니다. 신동원의학박사의 천연 생약 처방은 x 증상을 질병 패턴으로 차별화하여 가장 일반적인 증후군에 대한 치료을 제공합니다. 적절한 방법과 경로로 병 요인을 제거하고 불충분 한 에너지 흐름을 보하며 장기 시스템의 신경 호르몬 및 혈관 네트워크에서 차단 된 에너지 흐름을 전략적으로 열고 항상성과 웰빙을 복원합니다. 현대 문화의 복잡한 증상을 관리 / 치료하고자하는 현대화 된 모든 약초처방: 내과 및 병리학 분야, 그리고 한의학박사인 유일한 미국 의사 신동원박사(노스 웨스턴 대학의 MD) 가 개발했습니다. 현대약보다 더 우수하게, 부작용 거의없이, 조절 치료 효과적인 자연 약초 처방들을 개발했습니다. L.A.의 시더 스 시나이 의료 센터의 해부학 및 임상 병리학 레지던트. L.A.의 White Memorial 메디컬 센터에서 내과의 레지던트. L.A.에있는 Samra 동양 대학교의 한의학 학위. 1995 년부터 내과 및 한방 의학의 통합 의학 실습. 환자 방문수는 15 만명을 상회합니다. 우리의 허브 제품은 불순물, 살충제 및 중금속에 대해 엄격하게 테스트되었으며 세계에서 가장 우수한 약초 입니다. All the herbal products have not been evaluated by FDA. Herbal products are not intended to treat any disease.